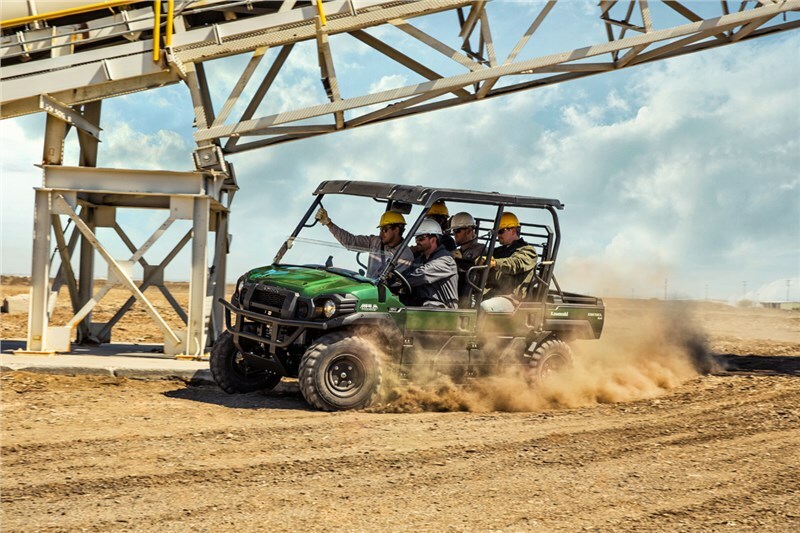 The MULE PRO-DXT™ side x side packs incomparable strength and endless durability backed by over a century of Kawasaki Heavy Industries, Ltd. (KHI) engineering. 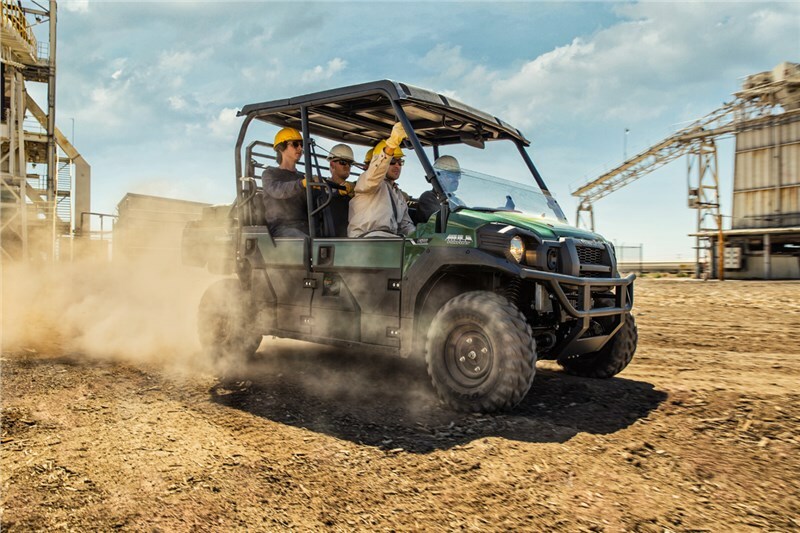 For an innovative way to get the job done, the MULE PRO-DXT features a Trans Cab™ system, allowing it to convert back and forth from three-passenger to six-passenger mode with ease. 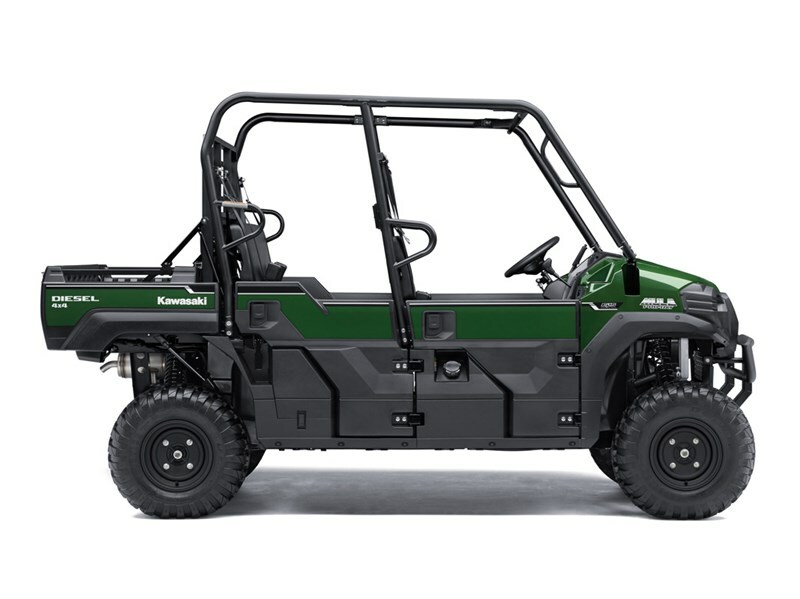 To top it off, the MULE PRO-DXT is backed confidently by the Kawasaki STRONG 3-Year Limited Warranty. 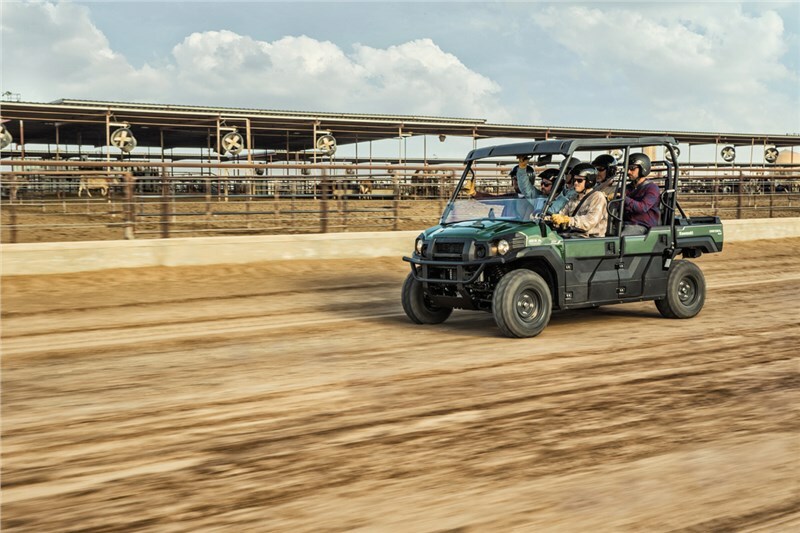 With the class-exclusive three to six passenger Trans Cab™ system, all it takes is one person to take one trip around the vehicle to convert the MULE PRO-DXT™ from three passengers to six passengers. All in about one minute. 1. 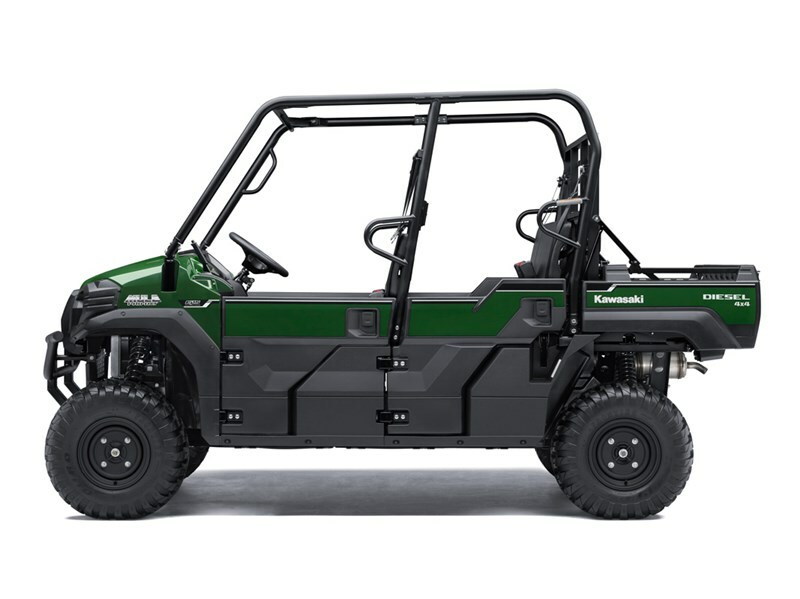 Unclip seats and pull cargo bars up. 2. 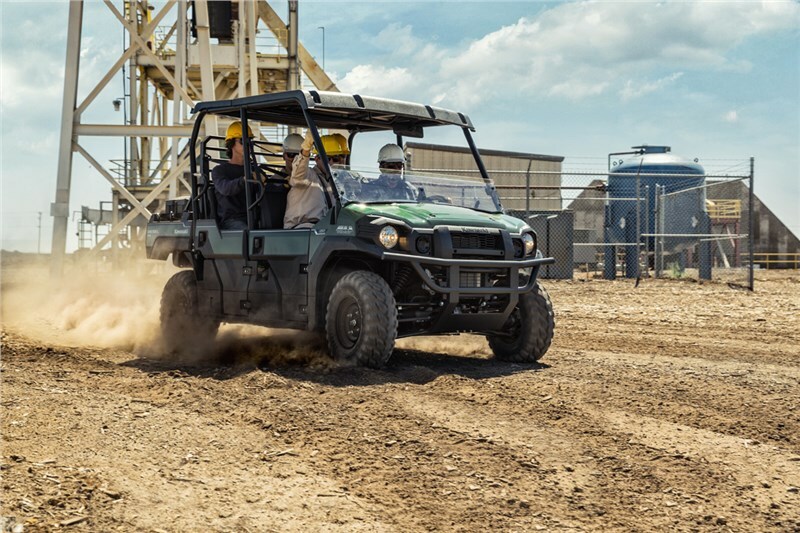 Push rack back and pull seat into place. 3. 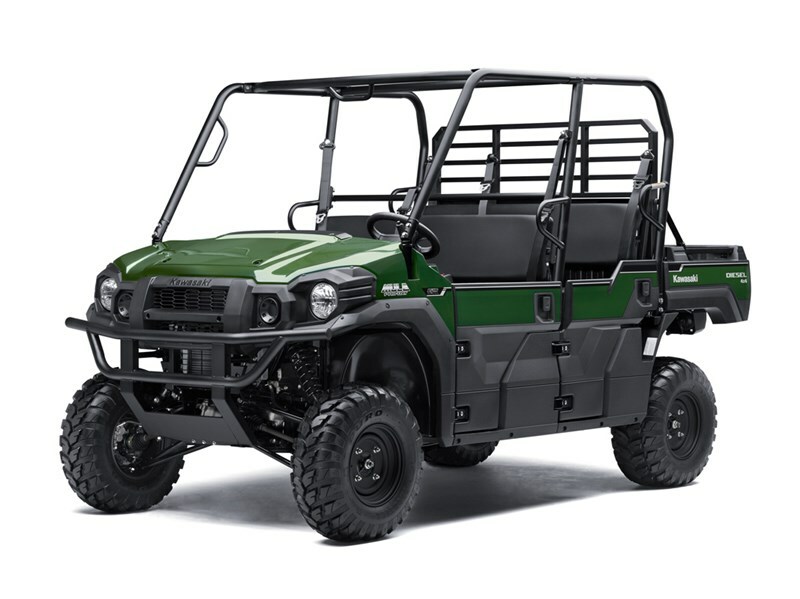 Clip in cargo bed bars and clip in seats. 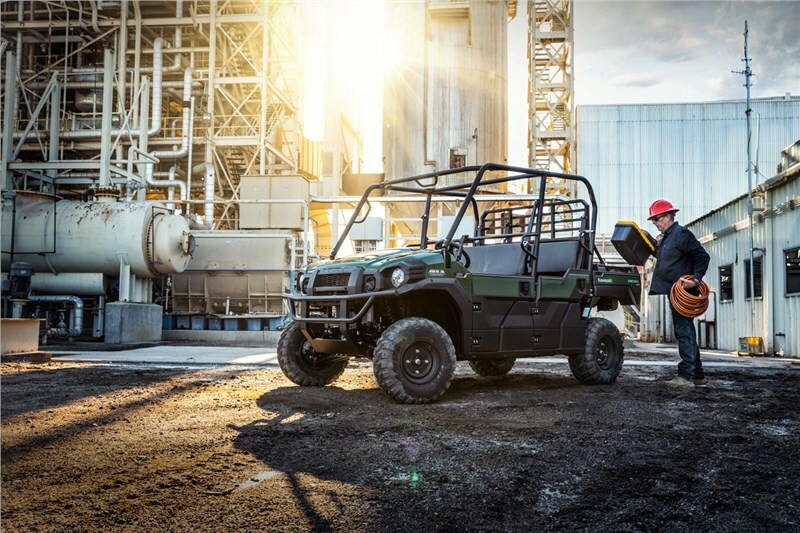 A DC power outlet for charging tools and devices out in the field, and abundant lighting for confident driving.